We’re bringing Bourbon Street to Downtown Aiken! We had so much fun last year that the event has GROWN over to Newberry Street!!!! 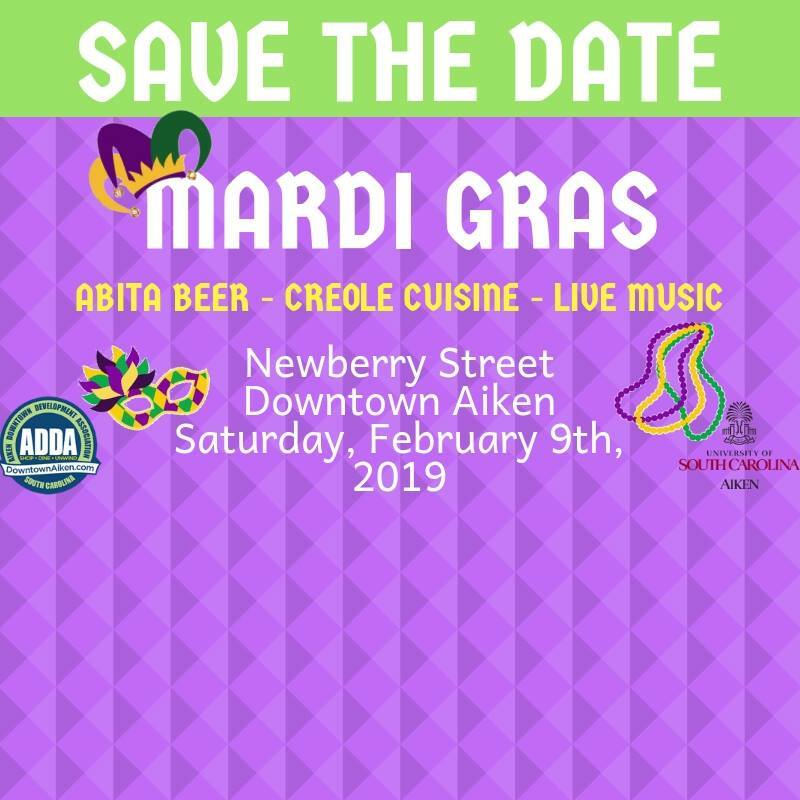 Come to our SECOND ANNUAL Mardi Gras and enjoy a second line parade, live music from Soda City Brass Band, creole cuisine, and Abita beer!